Desi Smith/Staff Photo. 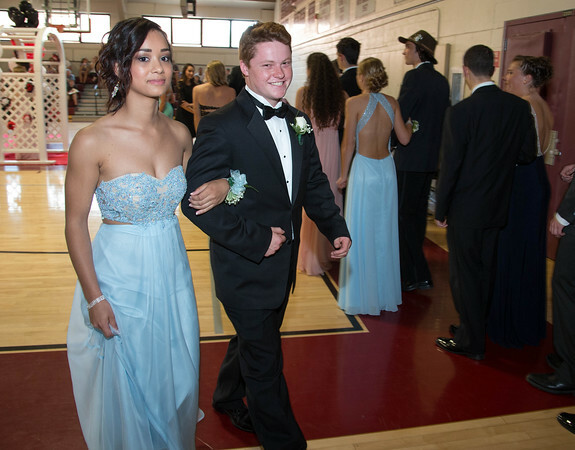 Jacynda Pena and Colin Normand finish their walk around the gym floor in front of family and friends during the promenade Friday night at Rockport High School. May 29,2015.